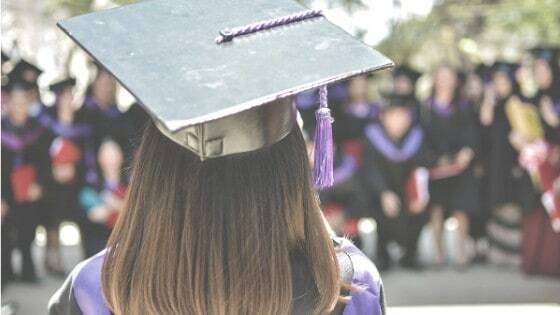 This post is all about the best high school graduation gift ideas for 2019. We may earn commission on affiliate links used in this post at no cost to you. Read full disclaimer here. High school graduation is just around the corner – which means you have to start thinking of gift ideas for your grad! 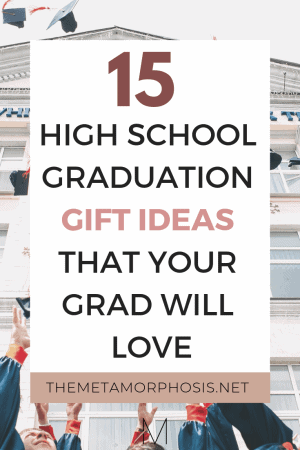 Whether your high school graduate is going straight to college or taking a gap year, these high school graduation gift ideas are perfect either way! This is a great book to give your high school grad to help them tap into their greatness in college! Your high school grad is going to need a backpack for college! This one from The North Face is a great option because it’s durable and has a lot of space and pockets to store items. This is a great gadget to get your high school grad! It’s true, a lot of millennials (like myself) are steering away from cable TV. Netflix and Hulu is where it’s at – so make sure you get your college grad a Smart TV for their college dorm! If your high school grad is social, they’re probably going to have their friends over in their dorm. Unfortunately, most dorms don’t offer much seating arrangements for guests. Having a futon will definitely solve that problem! This one also doubles as a bed for sleepovers! Most dorm beds are as comfortable as a rock! Getting a comfy set like this one will make your life so much easier! If your high school graduate loves coffee, then they definitely need a Keurig! This beats spending a lot of money on Starbucks, especially when you can have what you want in the comfort of your dorm. If you get a Keurig you’re going to have to store your K-Cups, right? This one is great because it saves on space! Trust me; this will come in handy sooo many times! 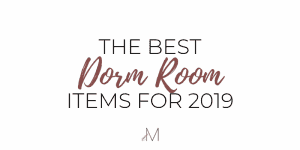 Whether it’s to come home for the weekend or having sleepovers at their friend’s dorms after a night out, your grad will definitely appreciate this gift! This is another great practical piece that they can use in their college dorm or bedroom! If your high school grad plans to go to college after graduation or take a gap year, or travel – this is the perfect gift to get them! A good quality camera like this one is perfect for creating great memories! Speaking of travel, a good quality luggage set is another perfect gift idea for a high school graduate! This will come in handy when they’re going off to college or on a study abroad later in their college career. Last but not least – don’t forget the $$$! Your high school grad would appreciate a card with some cash just as much as any one of these gifts. After all, college life isn’t cheap! That concludes the list of the best high school graduation gift ideas for 2019! For more gift ideas, click here.